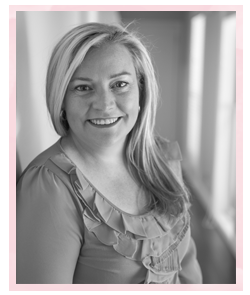 A very short and sweet post from me today, I'm about to run out the door as we speak to spend some times with the kids. I've missed them while we have been away and last weekend the weather was crazy we spent the weekend indoors, so I'm doing my 'Motherly' duties and heading to the skatepark! 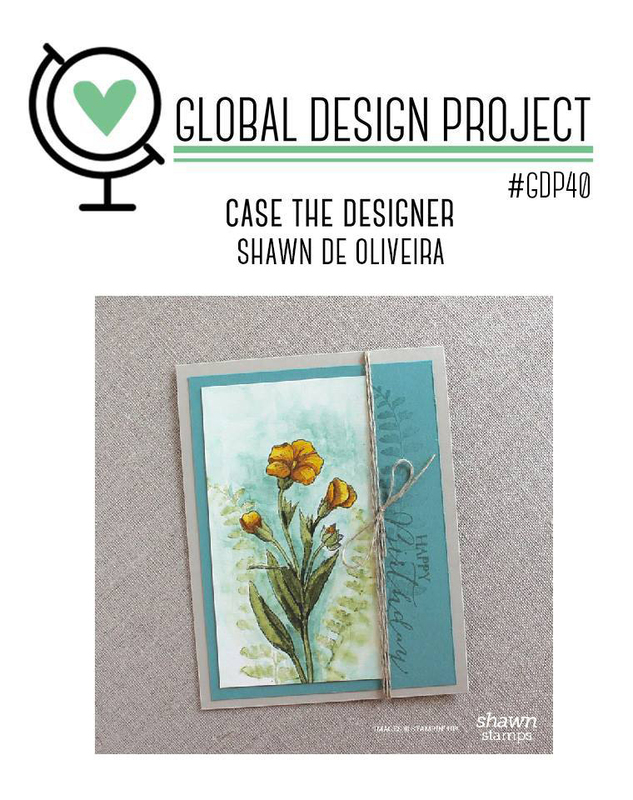 This week we have 'CASE the Designer' and we being inspired by our amazingly talented Design Team Member, Shawn de Oliveira. 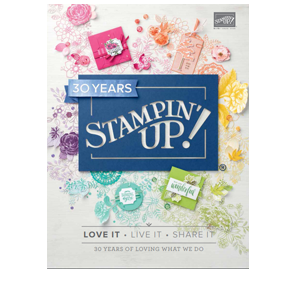 I love Shawn's clean look and blue base and took my inspiration from his card layout and chose to turn it on its side, with ribbon along the bottom. 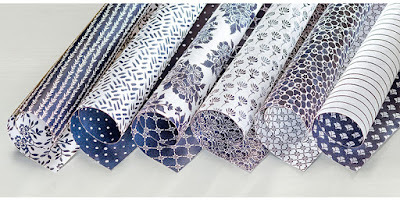 I am totally IN LOVE with the new Floral Boutique Designer Series Paper! 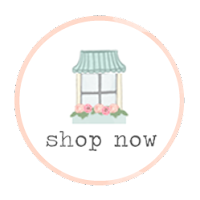 You will see me use it again soon and may even use it for some decor items - stay tuned! 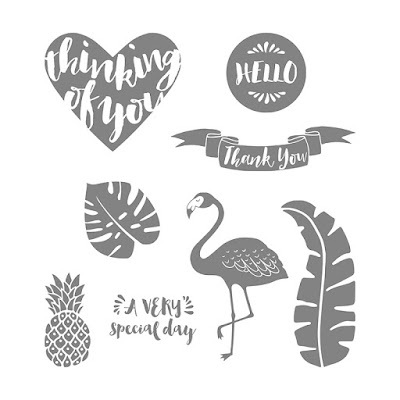 The pineapple is from the new stamp set Pop of Paradise and the sentiment is from Floral Phrases. Now head on over to the Global Design Project and see how each of us interpreted Shawn's card this week. 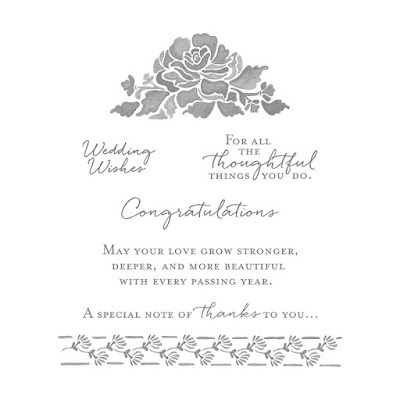 Even Shawn himself has to CASE his own card - and it's another beauty! 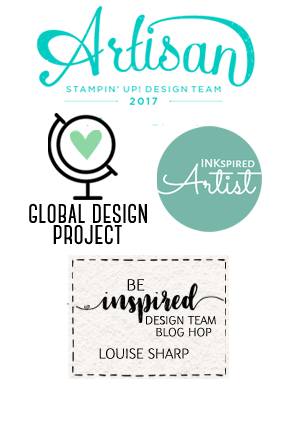 Louise your card is absolutely gorgeous! I totally love this card, Louise. It has such classic elegance. You are the master of making simple look easy, but I think we all know how much work goes into that. I'm totally honored to be CASEd by you and totally grateful to have been invited to Global Design Project by you; almost a year ago. I still have the email and the humor in it still brings a smile face. Thanks so much. All blues except for a "pop" of pink. A simple stunner Lou!! 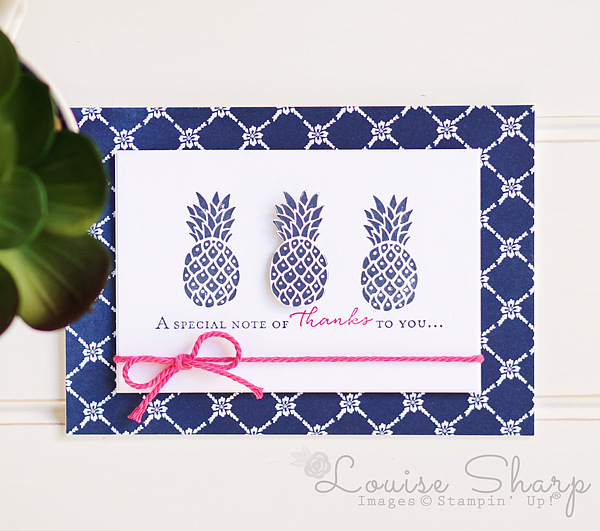 Louise, I never would have thought to pair the pineapple stamp with the Florak Boutique papers (another thing from the catalog that I can't wait to use) but it works well! 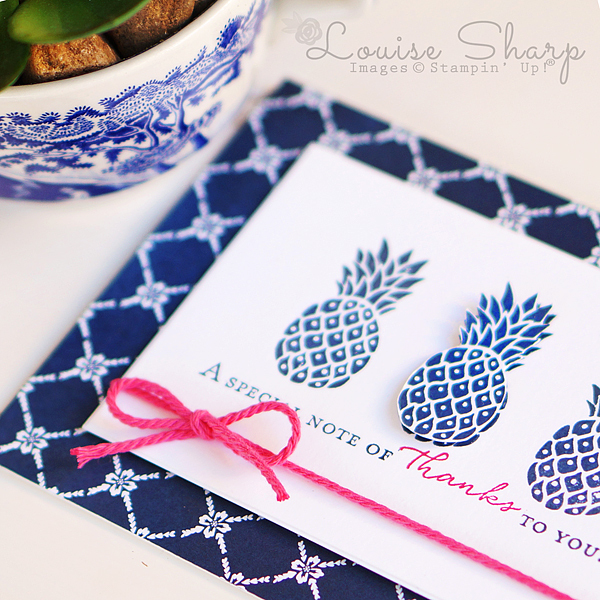 I love how "graphic" the pineapple looks!